Are you tired of phony psychic phone services? Are you ready to believe in psychics again? 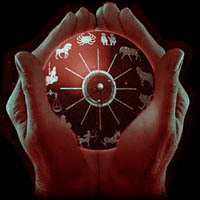 Here at the Psychic Advisor Network, we have gathered together the world’s most gifted psychics. Are you curious about your relationship? Is he coming back? Are you going to get that new job? Are your finances going to improve? We have a psychic for all of your questions and all of your needs! Our gifted psychics are here for you — 24 hours a day! We are now offering first time callers an AMAZING introductory offer. You can call and ask our psychics 1 question for free! There are absolutely no hidden fees for this call. If you have never had a psychic reading before and would like some tips on how to choose a psychic advisor or what type of services we have available, please check out one of our resource guides — How to Get the Most Out of Your Free Psychic Reading, and 5 Tips to Getting the Best Psychic Advice. Also, we prepared the Top 20 Types of Psychic Readings guide so that you can familiarize yourself with the different type of psychic readings that are available. Find out about your future today and welcome to the world of psychic phenomena. Psychic Advisor Network has a satisfaction guarantee policy. If you have any questions regarding the services offered or you wish to contact our management, feel free to visit our Contact page.